November is Native American Heritage Month, a celebration meant to give recognition to the significant contribution indigenous peoples have made to the history, culture, and growth of the United States. One way to get into the spirit of things is by reading works by some of the greatest Native American authors from the past century. Some of their works will shed light on activism, culture, and history. Others expose the challenges of living on reservations or establishing an identity in the modern world. All are beautiful, well-written pieces of poetry, prose, and non-fiction that are excellent reads reflecting the heritage of their authors. This list touches on just a few of the amazing Native American authors out there and can be a great starting point for those wanting to learn more throughout this month and the rest of the year. N. Scott Momaday is a writer, teacher, artist, and storyteller. He is one of the most celebrated Native American writers of the past century. 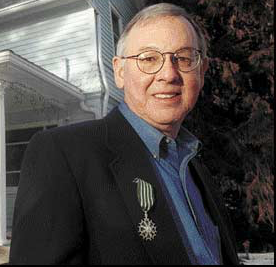 His novel, House Made of Dawn, won the Pulitzer Prize for Fiction in 1969 and is widely credited with helping Native American writers break into the literary mainstream. Momaday was born in Lawton, Oklahoma, in 1934, and he has taught at Stanford University for many years. Momaday has published several novels, collections of short stories, plays, and poems. He has received numerous awards, including a National Medal of Arts and a Lifetime Achievement Award from the Native Writers’ Circle of the Americas. He was also made Poet Laureate of Oklahoma. Other works by Momaday include: The Way to Rainy Mountain, The Ancient Child: A Novel, The Man Made of Words: Essays, Stories, Passages, In the Presence of the Sun: Stories and Poems, 1961-1991, The Names and Again the Far Morning: New ad Selected Poems. James Welch was one of the best-known and respected Native American authors during his lifetime. He is considered one of the founding authors in the Native American Renaissance. Born and raised in Montana, he learned about the rich heritage of the Blackfeet tribe. Welch wrote five novels and published works of non-fiction and poetry. He won an Emmy for the documentary he penned with Paul Stekler called Last Stand at Little Bighorn. Fools Crow is an historical fiction based on the story of Blackfeet men in the 1800s who are challenged by white imperialists. Welch’s other works include: Riding the Earthboy 40, Winter in the Blood, Killing Custer: The Battle of the Little Bighorn and the fate of the Plains Indians, the Heartsong of Charging Elk: A Love Song, and The Death of Jim Loney. During his lifetime, Welch received numerous literary awards in France. He died in 2003. Leslie Marmon Silko is an important figure in the first wave of the controversial “Native American Renaissance.” Silko, an accomplished writer, has been recognized with a lifetime achievement award from the Native Writers’ Circle of the Americas. She has written numerous novels, short stories, and poems. Ceremony, her best known work, draws on her Laguna heritage to tell the story of a WWII veteran returning home from the war to his poverty-stricken reservation. Her other works include: The Turquoise Ledge: A Memoir, Storyteller, The Almanac of the Dead: A Novel, and Yellow Woman and a Beauty of the Spirit. 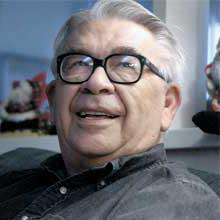 Vine Deloria Jr has been an outspoken advocate for Native American rights for decades, His writings helped shape Native activism in the 60s and 70s. His best-known work, Custer Died for Your Sins: An Indian Manifesto, brought attention to Indian issues in 1969. He wrote more than 20 books, challenging stereotypes of Native Americans and accepted ideas of American history. 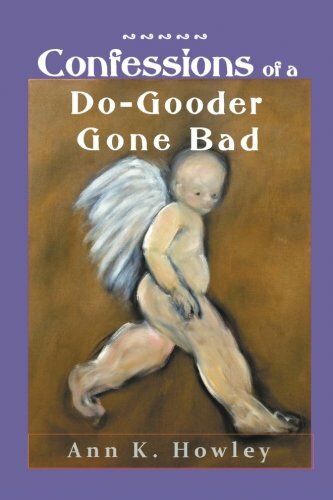 Some of his other works include: God is Red: A Native View of Religion, The World we Used to Live in: Remembering the Powers of the Medicine Men, The Metaphysics of Modern Existence, and Indians of the Pacific Northwest: From the Coming of the White Man to the Present. Joy Harjo has written memoirs, screenplays, children’s books and musical works; however, she’s primarily known as a poet. She is one of the most respected Native American poets working today. 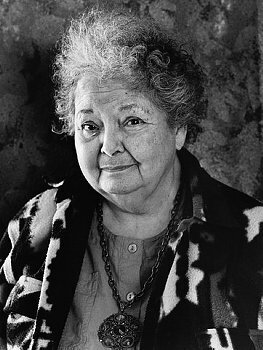 Some of her best-known works include: In Mad Love and War, The Woman Who Fell from the Sky: Poems, Conflict Resolution for Holy Beings: Poems, How We Became Human: New and Selected Poems 1975-2002: New and Selected Poems, Crazy Brave: A Memoir, She had some Horses: Poems, The Good Luck Cat, and A Map to the Next World: Poetry and Tales. Sherman Alexie is one of the best known Native American authors. He has authored several novels and collections of poetry and short stories. Alexie draws on his experiences growing up on the Spokane Indian reservation. His writing addresses difficult themes like despair, poverty, alcoholism, and Native American identity with humor and compassion. His best known works include The Lone Ranger and Tonto Fistfight in Heaven, You Don’t have to Say You Love Me: A Memoir, Flight: A Novel, Blasphemy: New and Selected Stories, Indian Killer: A Novel, The Toughest Indian in the World: Stories and The Absolutely True Diary of a Part-Time Indian (written for young adults). Janet Campbell Hale draws on her experiences growing up at the Coeur d’Alene Reservation in Idaho for much of her work. Her novel, The Jailing of Cecelia Capture was nominated for a Pulitzer Prize. It tells the story of a young Native American student who is arrested for drunk driving. Her other works include Bloodlines: Odyssey of a Native Daughter, Women on the Run, and The Owl’s Song. 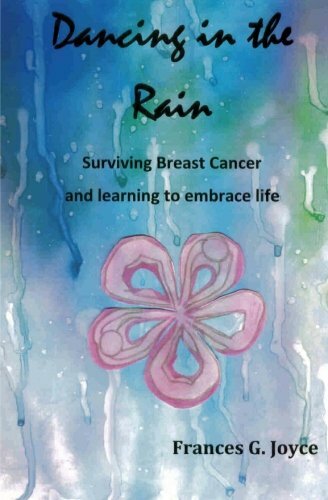 Paula Gunn Allen writes fiction and poetry. Her fictional work, The Woman Who Owned the Shadows, her only novel and Life Is a Fatal Disease, a collection of poems, were both inspired by Pueblo oral traditions and stories. Her non-fiction work, The Sacred Hoop: Recovering the Feminine in American Indian Traditions is a controversial work in which Allen argues women played a much larger role in Native societies than was recorded by male Anglo historians. Some of her other works include Grandmothers of the Light: A Medicine Woman’s Sourcebook, The Women Who Owned the Shadows, Spider Woman’s Granddaughters: Traditional Tales and Contemporary Writing by Native American Women, and Pocahontas: Medicine Woman, Spy, Entrepreneur, Diplomat. Duane Niatum writes plays and essays, but he is best known for his poetry. Niatum draws on the work of great Western poets and his native S’Klallam cultural heritage. Some of his works include his collections, The Crooked Beak of Love and Song for the Harvester of Dreams, Earth Vowels, Taos Pueblo: Poems, The Pull of the Green Kite, Nesting Out for Stars and Other Stories, Digging Out the Roots, The Crooked Beak of Love, and Stories of the Moons. Gerald Vizenor is a leading figure in Native American literature and one of the most prolific Native American writers. He has published more than 30 books. 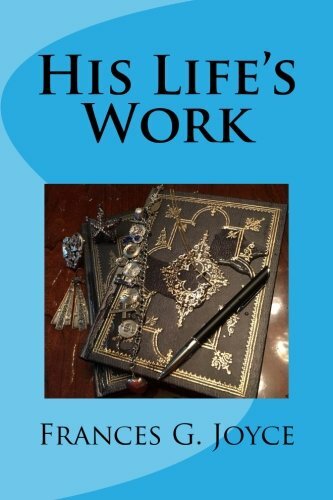 His writes screenplays, poems, novels, and essays. His works include Griever: An American Monkey King in China, Shrouds of White Earth, Manifest Manners: Narratives on Postindian Survivance, Survivance: Narratives of Native Presence, Bearheart: The Heirship Chronicles, and Native Tributes: Historical Novel. Louise Erdrich has written thirteen novels, as well as books of poetry, short stories, children books, and a memoir. Her work centers on Native American characters, and is influenced by the literary methods and narrative style pioneered by William Faulkner. Some of her works include Love Medicine, The Plague of Doves (a finalist for a Pulitzer Prize), Future Home of The Living God: A Novel, The Round House: A Novel, The Last Report on the Miracles at Little No Horse; A Novel, The round House: A Novel, The Birchbark House and Tracks. Barney Bush is an author, creative writing professor, and musician. Bush was a well-known activist in the American Indian Movement during the Sixties, protesting, organizing, and writing to bring attention to Indian issues. His poetry, which is musical and spoken, touches on themes like identity, cultural conflict, social struggle, and the disintegration of traditional values. Some of his works include Inherit the Blood, My Horse and a Jukebox, and Petroglyphs. To preserve the oral transmission of texts in keeping with Native American traditions, many of his poems have also been released in audio format. “Lady Liberty: The Indictment”is especially popular in audio format. Simon J. Ortiz is a Native American poet of note. He has also published short fiction and non-fiction prose. Ortiz’s work often focuses on modern man’s alienation, from others, himself, and his environment. Some of his best known works are From Sand Creek: Rising In This Heart Which Is Our America, Woven Stone, Out There Somewhere, The Good Rainbow Road, and The People Shall Continue. Nila NorthSun is an award winning Native American poet and activist. She has published five collections of poetry and one non-fiction book documenting tribal history. Some of her best known works are Love at Gunpoint, A Snake in her Mouth: Poems 1974-96, Small Bones, Little Eyes, and Diet Pepsi and Nacho Cheese Poems. Charles Eastman’s early works on Native American history helped to redefine how Americans looked at the past because he addressed American history from a native point of view. Many of his works were based on events from his life as well as Native American culture and history. Eastman grew up in the Woodland Sioux until he was 15, and attended Boston University and Dartmouth. Eastman became a physician, but maintained his involvement in political causes and writing throughout his life. Some of his best known works include From the Deep Woods to Civilization, The Indian Today: The Past and Future of the First American, Indian Boyhood, The Soul of the Indian, Indian Heroes and Great Chieftains and Wigwam Evenings: Sioux Folk Tales Retold. John Joseph Mathews was an early standout among Native American authors. He was an historian, novelist and an important voice for the Osage people. He played a key role in helping to preserve the culture of the Osage people, documenting numerous stories and oral histories in The Osages: Children of the Middle Waters. Some of his best known works include Wa’kon-tah: The Osage and The White Man’s Road, Sundown, and Twenty Thousand Mornings: An Autobiography. David Treuer draws heavily on his Ojibwe heritage to write stories that defy the stereotypes of Native American literature. Some of his best known works include Little, The Translation of Dr. Appelles: A Love Story, HoKa Key, Prudence: A Novel, The Heartbeat of Wounded Knee; Native America from 1890 to the Present, Rez Life: An Indian’s Journey Through Reservation Life, and The Hiawatha: A Novel. Treuer also penned a controversial collection of essays titled Native American Fiction: A User’s Manual, which challenges the work of several well respected Native American writers because he contends the genre of Native American literature should be viewed as part of the larger canon of American literature rather than an artifact of historic Native culture. Thomas King has become one of the most prominent voices for First Nations Canadians today. He currently teaches at the University of Guelph, Ontario. He is Cherokee, Greek, and German. Some of his most important works include The Truth About Stories: A Native Narrative, Medicine River, The Inconvenient Indian: A curious Account of Native People in North America, The Back of the Turtle and Coyote Tales (a children’s book). Winona LaDuke: is an author, speaker, economist, and activist (LaDuke was the vice presidential candidate with Ralph Nader in 1996 and 2000). She has written one work of fiction, Last Standing Woman, and two non-fiction books, All Our Relations: Native Struggles for Land and Life, a book on the movement to reclaim tribal lands, and Recovering the Sacred: The Power of Naming and Claiming, which looks at traditional beliefs and practices. 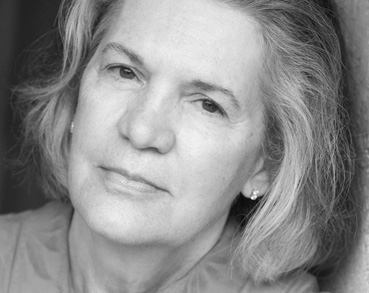 Diane Glancy is an award winning author who has written several works of poetry, plays, non-fiction, and novels. Glancy is known for her use of realistic language and vivid imagery to address subjects such as spirituality, family dynamics and her identity as a person of mixed blood. Some of her best known works are Claiming Breath, Lone Dog’s Winter Count, Primer of the Obsolete, Stone Heart: A Novel of Sacajawea, Pushing the Bear: After the Trail of Tears and Iron Woman. Wendy Rose is an artist, writer, and anthropologist. Rose’s work often focuses on her mixed heritage. She has often felt alienated from both the Hopi people and whites. She also feels strongly about issues such as ecology, feminism, and politics. Some of her best known works include Bone Dance: New and Selected Poems 1965-1993, Itch Like Crazy, and Lost Copper (nominated for a Pulitzer Prize). Eden Robinson was born in British Columbia to parents in the Haisla and Heiltsuk First Nations. Some of her best known works are Traplines, Monkey Beach, Blood Sports: A Novel, The Sasquatch at Home: Traditional Protocols & Modern Storytelling, Trickster Drift and Son of a Trickster. PHOTO CREDITS: Every effort was made to properly identify the origin of each photo that is not in the public domain. No infringement is intended. http://www.indiancountry.com/content.cfm?id=1061297129. Accessed 10 Nov. 2018. Fair Use. Leslie Marmon Silko - https://commons.wikimedia.org/wiki/File:Headliner_Leslie_Marmon_Silko_at_the_banquet_reading_(6233509362).jpg. Leslie Marmon Silko Reading from her new memoir, 1 March 2011, 02:59, Source: Headliner Leslie Marmon Silko at the banquet reading. Author: Uche Ogbuji from Superior, Colorado, USA. Accessed 10 Nov. 2018. Vine Deloria Jr. - https://en.wikipedia.org/wiki/File:Vine_Deloria.jpg. Fair use photo. Joy Harbo - https://commons.wikimedia.org/wiki/File:Joy_Harjo.jpg. Joy Harjo. 4 December 2012, 15:36:16. Own work, Author: Joy Harjo, 10 Nov. 2018. Janet Campbell Hale - https://www.google.com/search?q=janet+campbell+hale&ie=UTF-8&oe=UTF-8&hl=en-us&client=safari#imgrc=Q71y8QcVdOhDsM. Solo Photo: Louise Erdrich - https://commons.wikimedia.org/wiki/File:Louise_erdrich_8199.jpg; Author Louise Erdrich reading at the 2015 National Book Festival. Erdrich won the 2012 National Book Award for Fiction for her novel The Round House, 5 September 2015, Own work, Author: SLOWKING4. Accessed 10 Nov. 2018. Barney Bush - https://goo.gl/images/jZ8Fsc. Image credit: Tom Jones, Accessed 10 Nov. 2018. 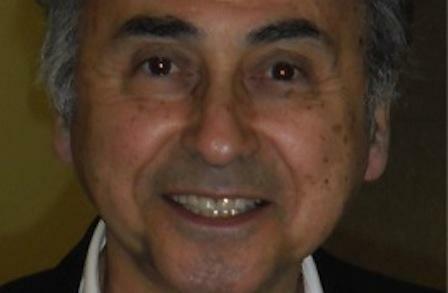 Simon J. Ortiz - https://www.poetryfoundation.org/poets/simon-j-ortiz. Nila NorthSun - By nila northSun - Contact us/Photo submission, CC BY-SA 3.0, https://commons.wikimedia.org/w/index.php?curid=4236298. John Joseph Mathews - https://www.google.com/search?q=john+joseph+mathews&ie=UTF-8&oe=UTF-8&hl=en-us&client=safari#imgrc=NK_KmL-Zp9fneM. Solo Photo: David Treuer - https://commons.wikimedia.org/wiki/File:David_treuer_3139.JPG. David Treuer reading at National Book Festival. 30 August 2014, 14:37:38. Own work. Author: Slowking4. Accessed 10 Nov. 2018. 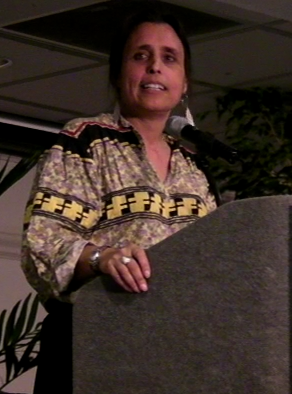 Winona LaDuke at Dream Reborn Conference 2008. 6 April 2008.Own work, Author: Eclectek. Accessed 10 Nov. 2018. Eden Robinson - https://commons.wikimedia.org/wiki/File:Canadian_author_Eden_Robinson_at_the_Writers%27_Trust_Gala_in_Toronto,_November_2017.jpg. Canadian author Eden Robinson at the Writers' Trust Gala fundraiser in Toronto in November 2017, where she was awarded the $50,000 Writers' Trust Fellowship for her remarkable body of work. https://en.wikipedia.org/wiki/Eden_Robinson. 7 November 2017, 21:13:22. Own work, Author: Kaparica. Accessed 10 Nov. 2018.